New Delhi : Tamasha is one movie for which Imtiaz’s name will pull audiences in but they will move out with an outstanding performer Ranbir Kapoor. Adding grace to them is Deepika Padukone in this flick. The movie is all about unfolding your desires which somehow gets covered under the shadow of societal pressure. Ranbir Kapoor delivers a performance pushed with full throttle post Rockstar. Deepika padukone while enjoys her already ruling stardom in the film with an ease. However, Imtiaz Ali comes as a shocker not in a way he always do but a real one to force audiences scratch their head and think what exactly he was trying to do. Mind it! The film is not a bad work but a less dedicated effort by Mr Ali. The film revolves around the lives of Ved and Tara, who meet in Corsica by chance, enjoy themselves to the core and then they separate with no motive to mesmerise each other. Incidently, Tara fails to fulfil her promise and falls in love with Ved; after four long years of struggle she finally manages to find him but in a different avatar. A drama bonded with twists and turns is a mix of treat and sorrow. Songs are its assets and the makers have claimed it with solidarity on the chartbusters. Adding more to music is the cinematography. Corsica was never shown with such beauty in any of the Bollywood movie. Location brings full marks to the cinematographer. 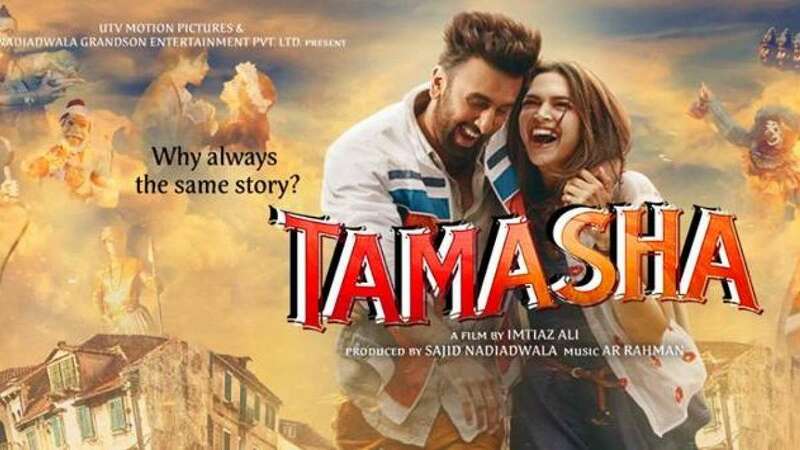 For all those who wanted to see Ranbir going back to his powerful yet charming avatar, Tamasha is a must watch and otherwise it remains as a one-time watch movie.